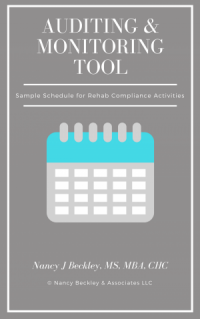 The Rehab Agency Emergency Preparedness Policies and Procedures is indexed to the CMS Conditions of Participation as well as Accreditation Standards by AAAASF – the CMS deeming authority for Rehab Agencies. 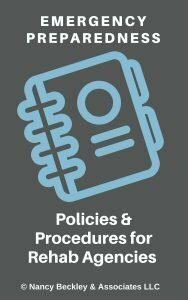 If you purchase our Rehab Agency Policy and Procedure Manual the Emergency Preparedness Policies and Procedures are included. This “stand alone” section is designed to assist providers who have not updated their policies and procedures to comply with the Emergency Preparedness Condition (effective 11-15-2017). For existing rehab agencies this will assist in the conversion from the Disaster Preparedness Condition to the new Emergency Preparedness Condition. The Emergency Preparedness Policies and Procedures address the 4 Standards under the Emergency Preparedness Condition: Emergency Preparedness Plan, Policies and Procedures, Communication Plan, and Training & Testing. It also includes a policy directed at the option for an “Integrated Health System (IHS)” approach. Although this document contains emergency preparedness policies and procedures, there are substantial community-based activities as well as training and testing exercises, and a facility-specific communication plan that all need to be completed, as required by CMS, as part of the development and implementation of an Emergency Plan. This policy was updated on 3/17/2019. Help is on the way! 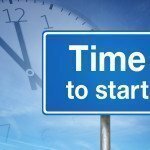 As a companion piece we offer an Emergency Preparedness Toolkit designed to assist in the planning and development of the substantial requirements under the Emergency Preparedness Condition of Participation. With this option we will assist the provider in identification and implementation activities and identify resources, and assist with facility-based exercises. Review the SINGLE USE LICENSE AGREEMENT prior to purchasing.